I recently had the opportunity to review Bru Joy Smooth Edge Safe Side Cut Manual Can Opener. I admit it took a few tries before I was able to use it correctly, but now that I have the hang of it, I'm impressed. I like the fact that the blade never touches the food. 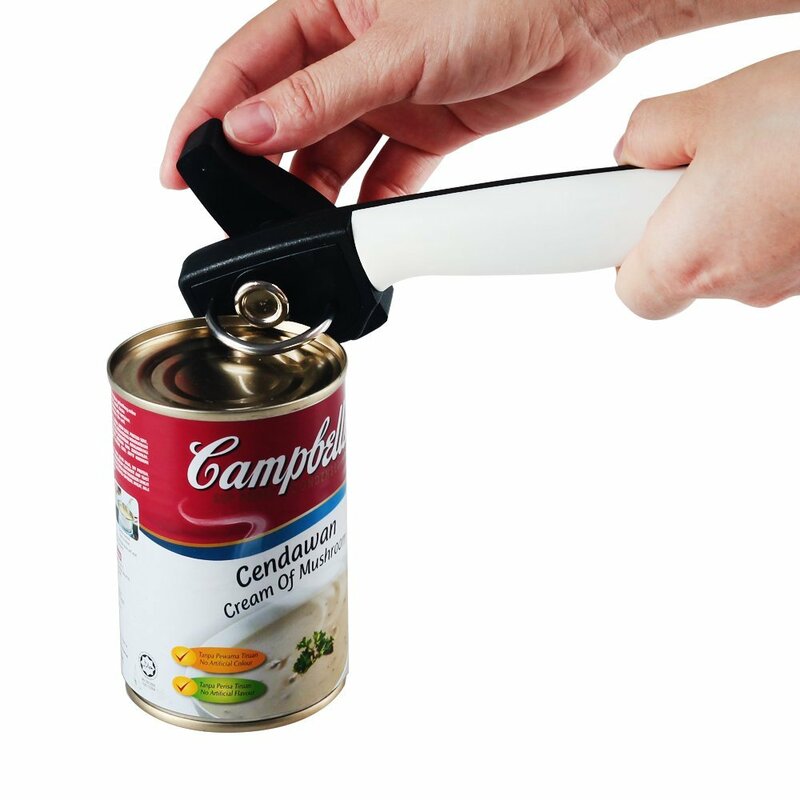 Also this can opener removes the whole top, leaving a smooth edge so no more cut fingers. I don't know if you've ever cut your fingers on a can lid, but I sure have. Not a pleasant experience to say the least. Another thing I like about this can opener is that if you don't use all the contents of the can, you can simply place the top of the can back on the can, like a lid. It's easy to clean and , now that I know how, it's easy to use. I'm a fan of this Bru Joy Smooth Edge Side Cut Manual Can Opener!